Students choose Trident University because it has been well respected and admired by students, faculty, staff, and employers throughout its history. Trident University International is a U.S. based, globally available leader in online education. Students choose Trident University because it has been well respected and admired by students, faculty, staff, and employers throughout its history. 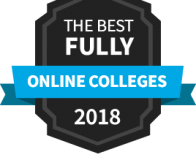 Our outstanding reputation as one of the top online universities along with our accreditation by the WASC Senior College and University Commission (WSCUC), makes Trident the best choice for thousands of students around the world. At Trident, you will be rewarded with an exceptional environment for learning and critical thinking. You will feel welcomed and encouraged by lively and accessible faculty. You will thrive in an innovative teaching approach. With guidance from a friendly and supportive community, you will find the balance to manage classes, work, and life. You will graduate with powerful new skills and the mindset to propel you forward in your career and your life. Established in 1998 and headquartered in Cypress, California, Trident University has a specially designed learning model unique in online education. Trident is also alma mater to more than 27,000 military, veteran and adult students, which showcases its ability to cater to the needs of students with diverse professional backgrounds. Whether active duty military and their families or civilians, Trident students share a desire to excel and make a difference in the world by taking their education to the next level.